I published my crime thriller ‘Beyond The Law’ in early October right on schedule, which was good because the next day I headed to the Scottish HIghlands to chill out for a week – and it’s easy to ‘chill out’ in the Highlands in October. My novel tells the story of Phil McKenzie, an ex–SAS soldier who is framed for an assassination. He returns to his hometown, Glasgow – as Hawk, a vigilante. He then recruits a small team and tackles organised crime head on. As usual I aim to link my graphic with my post and this one is no different. What is the relevance of the picture? 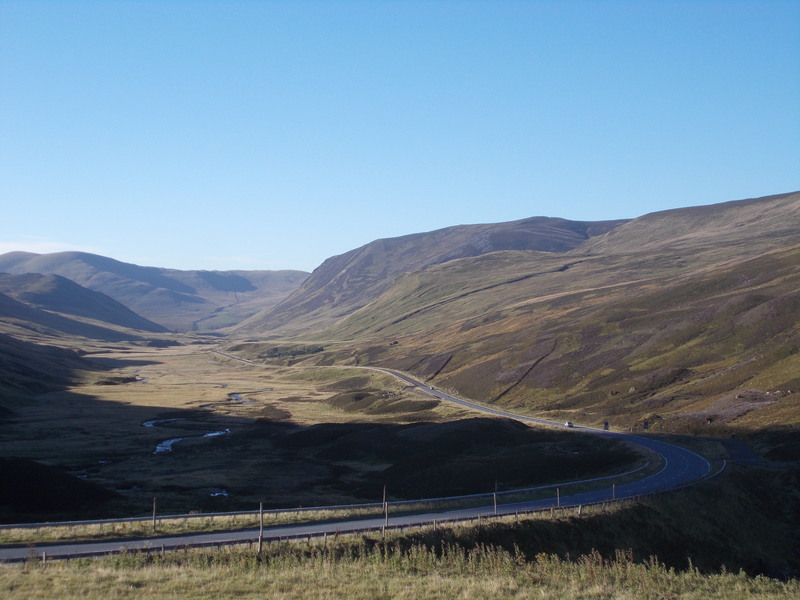 Just like the road through the Cairngorms from Braemar to Blairgowrie, I faced many twists and turns with my novel. It was a long road with my hero being brought to life in a poem in May 2008. My character ‘Hawk’ attracted interest and good reviews, so the poem became a series of 35 poems. In November 2011, Hawk became a novel written in 30 straight days during my first attempt at the National Novel Writing Month (NaNoWriMo). During 2012 I started a serious rewrite with various working titles, the favourite being, ‘Hawk – A Vigilante’. On completion I left it aside for about six months before revisiting the manuscript. When I started work on it again early this year I set myself a target date for completion of late September/early October. I’m delighted to say I met my deadline. I set it up for a one-day Free promotion on Amazon on Saturday, 12th October and I’m pleased to say it was downloaded over 100 times and sold 5 copies. Interested readers came from UK, USA, Canada, Germany, Italy and India. Now I have to hope that the story works for all those people. My aim for this week is to relax and paint some scenes from my recent Scottish holiday. Where did I stay? I rented ‘Treasure Island Cottage’ in Braemar – so called, because it’s where Robert Louis Stevenson wrote part of the famous book, ‘Treasure Island’. Thank you for reading – I’ll be back soon with news of my new romance novel, set in Amsterdam.